The prospect of Hillary Clinton becoming the Democratic candidate has many liberals increasingly worried considering how out of step Clinton is with liberal views on foreign policy, social issues, government ethics, and the economy. If it comes to it, I believe most liberals will hold their nose and vote for Clinton as opposed to risking another Gore v. Bush campaign in which the Nader votes helped determine the result. However that would be a purely defensive vote for a candidate who does not share our values to prevent a greater evil from being elected. While we are still in the nominating process, many liberals do prefer to see the Democrats nominate a liberal candidate. There has been considerable excitement around Elizabeth Warren, including recent calls from the Boston Globe, and just recently Lawrence Lessig, for Warren to run. There is even a draft Joe Biden web site. Martin O’Malley might not be as exciting to the grass roots as Warren but he does have one thing going for him. 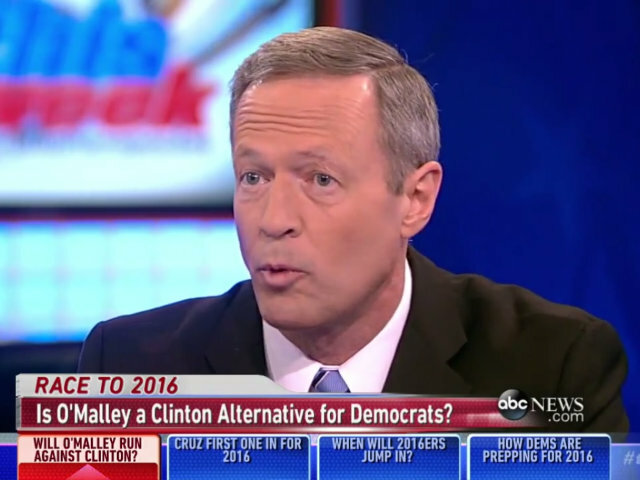 Unlike Warren, O’Malley is actually talking about running. O’Malley is trying to position himself as a more liberal and forward-looking alternative to Clinton, who holds a commanding lead in early polls among Democratic voters and is expected to make her bid official next month. So, what’s changed? Well, for one, O’Malley and his team quite clearly see an opening — no matter how small — caused by Clinton’s unforced error on her e-mails. Ramping up the rhetoric is a probing attempt by O’Malley to see whether there really is a plausible path to beat — or at least seriously challenge — Clinton in a primary. Could a liberal’s liberal without a famous last name have a chance — if that person was willing to push (and push hard) the idea that Clinton represents an unnecessary compromise of ideals and an unnecessary continuation of the dynastic politics that people say they don’t like? Many front runners have lost in the past, including Ed Muskie, Joe Lieberman, Gary Hart, Rudy Giuliani, and Hillary Clinton in 2008. Clinton does have an unprecedented lead, but she is also in an unusual situation. Her support comes from a combination of her name and gender, but her views are to the right of the party base which turns out in primaries. She has been a poor campaigner, including stumbling in her book tour and response to the email controversy, in addition to the problems in her 2008 campaign. She remains the most likley winner, but not inevitable. On the other hand, while O’Malley looks like an unlikely winner, the Democrats have often nominated governors who were not well-known nationally before the campaign. This includes ultimate general election winners such as Carter and Bill Clinton, and losers such as Dukakis. O’Malley has a long-shot, but not impossible, chance at winning just by showing up in the nomination race if more Democrats reconsider whether they really want to see the party move to the right, under a leader with a history of poor judgement and loose ethics.